I had the chance to read and review another fun Christmas book today. 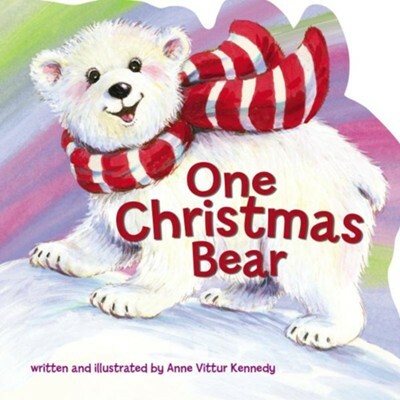 One Christmas Bear talks about various animals in a fun, counting style. I think that either one of my baby nephews would enjoy this book. The pictures in this book are really cute and fun. This is great for babies through about three years old. I like the counting style of this book. I think it will help my one-year-old nephew as he starts to talk and eventually learns to count. I like the sparkly cover and the fun that it adds to the whole book. There is not really anything that I dislike about this book. Overall, I think that this is a fun book. I give One Christmas Bear 5 out of 5 stars.